A large ad agency needed an experienced creative collaborator for a side project. 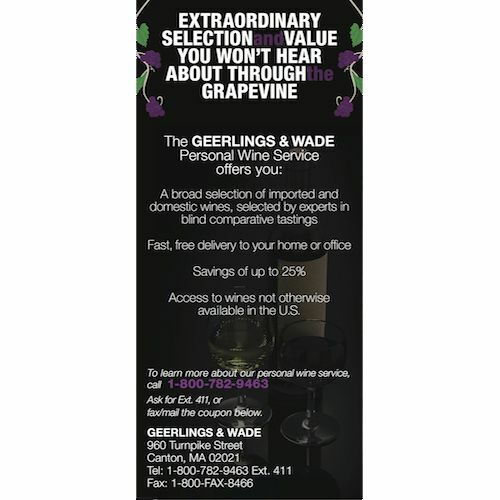 Campaign included print ads, an 'advertorial', and direct mail. 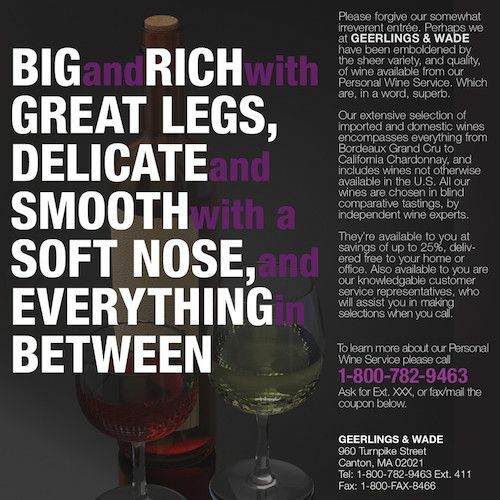 Develop multiple concepts for a series of print ads for mail-order wine company Geerlings and Wade. Write supporting copy. Participate in internal team meetings and meetings with client; represent Copy department as a member of the agency team. Creative exceeded expectations and upheld agency's high standards. 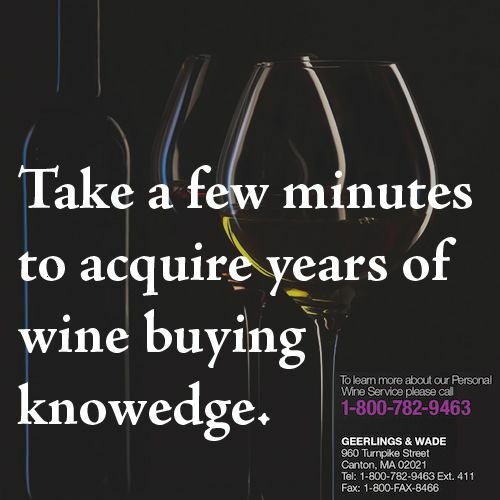 Writer's personal knowledge of wine enhanced creative output and execution.